Division can seem like a complicated concept without the right tools to understand what it means in the real world, or the fantasy world. 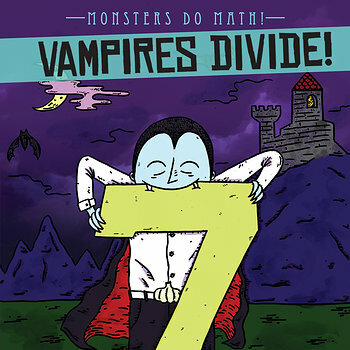 In this amusing and beneficial book, vampires are the math teachers, instructing readers about strategies to help them decipher and solve division problems. Equations are accompanied by striking illustrations, and an answer key offers opportunities for self-assessment. Fun fact boxes about vampires add further interest to this must-have math book.